Bakhchesarai or Bakhchysarai [Бахчесарай or Бахчисарай; Baxčesarai or Baxčysarai]. Map: IX-14. 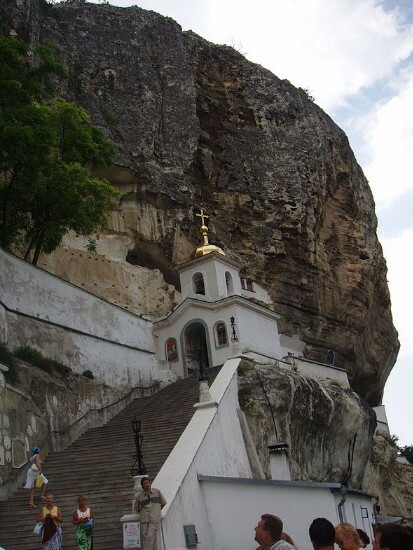 City (1926 pop 10,000, of which 72 percent were Tatars; 2013 pop 26,482) in the Churuk Valley on the northwestern slope of the Crimean Mountains; a raion center in the Autonomous Republic of Crimea, Ukraine. The city has a food industry and an institute of construction technology. 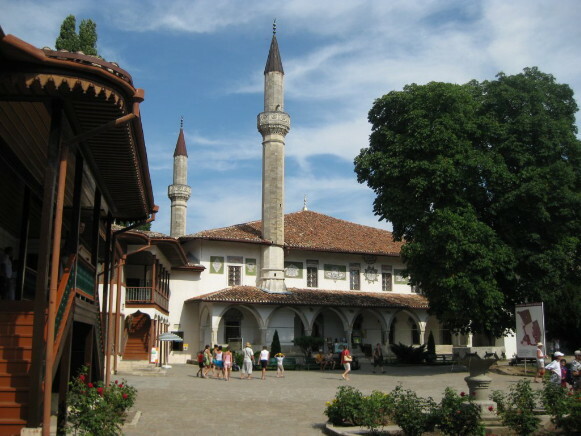 From the end of the 15th century to 1783 Bakhchesarai was the capital of the Crimean Khanate. 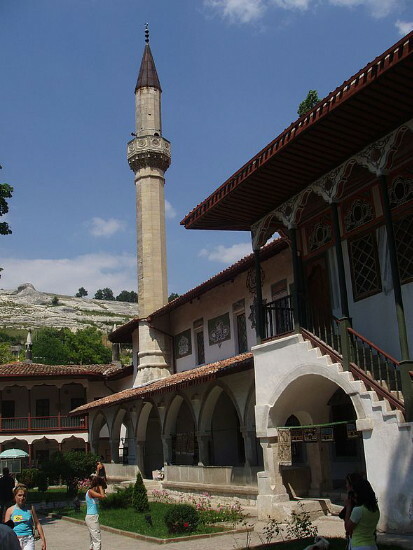 It is a typically oriental city, with narrow, winding streets, fountains, and mosques. Its most famous architectural landmark is the group of buildings that once constituted the khan's palace (16th–18th century), now the Bakhchesarai Historical and Archeological Museum. The most interesting buildings are the Golden Cabinet (18th century), the Hall of Assembly (16th–18th century), and the Fountain of Tears (built by master Omer in 1764). Not far from Bakhchesarai are the ruins of the medieval underground fortress town Chufut-Kaleh. In 1681 Muscovy concluded a peace treaty with Turkey and the Crimean Khanate in Bakhchesarai (see Treaty of Bakhchesarai).